Leather Upholstery Cleaning by Chem Dry Experts. Chem Dry leads the industry in leather upholstery cleaning. 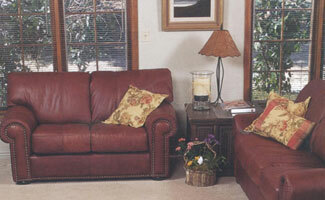 Leather couches can be extremely expensive and this is why you need to protect them against any stains or spills. You also need to make sure that the formulas and conditioning treatments are only of the highest quality and that’s where Chem-Dry comes in! 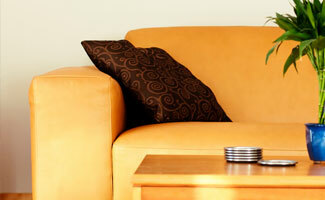 At Chem-Dry, we only use the best, environmentally friendly treatments for leather upholstery cleaning and protection. So What’s The Leather Upholstery Cleaning Process? Firstly, our experienced and qualified Sydney leather upholstery cleaning technicians will first remove the dirt and grime by a gentle hand cleaning process. Once this is done, the couches are then conditioned to ensure that the lounges stay cleaner longer and repel staining in the future. This type of conditioning not only protects your beloved leather lounges, but also saves you money in the future! Chem-Dry QuickDry is able to get outstanding leather upholstery cleaning results and our customers are often delighted with their new couches that almost look just as good as when they first purchased them! Our friendly staff members are available to give you a quote on any of our services and if you need us to come out and have a look, our staff value your time and for this reason, are ready when you are so you’ll never be waiting around for a technician again! The experienced and highly qualified Sydney leather upholstery cleaning team at Chem-Dry QuickDry service both domestic and commercial customers and our technicians always endeavour to provide the best possible service to all our customers by ensuring a fast, reliable and affordable cleaning solution to Sydney residents. From the North Shore to Northern Beaches down to Eastern Suburbs and Inner West and Hills District, we have you covered. Leather Upholstery Cleaning to the highest possible standards! Call us today and you’ll see why we were voted franchisee of the year for 2010! We have some ChemDry Specials on offer at the moment. Have a look by clicking on the link.